When one thinks of spring break, their immediate thoughts turn to warm weather, white sandy beaches and being served a sumptuous slushy drink with an umbrella. Cancun, Mexico is one such place that is notorious for the young to descend and indulge in the all-inclusive party by night, beach hangover by day lifestyle. The Quintana Roo State and Yucatan Peninsula’s white sandy beaches are now dotted with resorts geared towards the all-inclusive spring break crowd. Places like Isla Mujeras, once a beach town devoid of big resorts, now finds itself a part of that very culture. However, one can plan a trip to Mexico and still lap up the beach life while managing to avoid the spring break party crowd. And this can be done all on a dime. Well, maybe more like a dollar. If you are looking for the road less traveled, Isla Holbox is one such place that manages to maintain its hippie, laid back beach vibe. 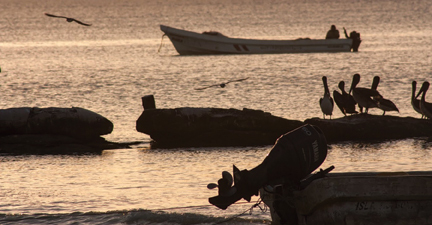 From Cancun, you take a three-hour bus ride to the mainland of Chiquila where you catch a ferry to Holbox. Several ferry companies compete for your pesos but word to the wise — the red ferry always gets there first. The island is walkable so you won’t find any cars — the main mode of transport is by foot or golf cart. The locals love their golf carts. 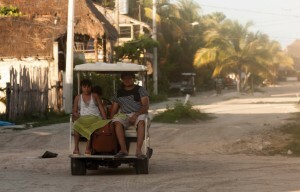 What sets Holbox apart is the sense of community you feel immediately upon exciting the ferry. The island is a fishing village that has seemingly managed to blend tourism while keeping true to its laid back roots. Walk the streets still paved with sand, take note of the life-like art graffitied on walls and children playing stickball in the street. Relish in the fact that although the party of Cancun lives a mere three hours away, it still has not managed to penetrate the lagoon that separates Holbox from the mainland. 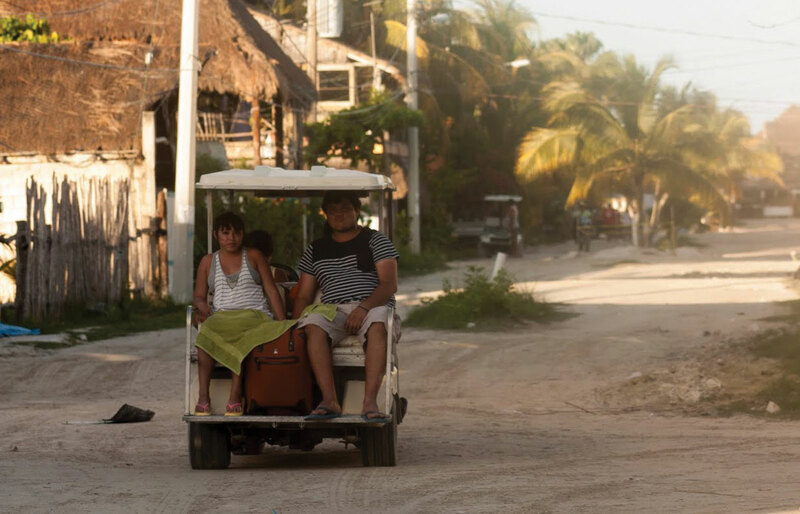 Edgar Orozco, who was born and raised in Mexico City but has lived on the island for three months, does not think Holbox will ever change. Fancier hotels line the beach but for a budget-conscious traveller, Hostel Tribu cannot be missed with its theme nights and community atmosphere. Dorm rooms go for approximately $13 (CAD) a night. If you are a taco aficionado, one can pick up local fare for around 30 pesos ($2.50 CAD). If that still breaks the bank, grab a rod and fish off the dock. Most hostels on the island come with a communal kitchen for you to prepare your meals. Holbox translates to “black hole” in Yucatec Maya. After one night on the island you can see why — it would be easy to never want to leave this little gem for the hustle and bustle of real life. Spring break has come and gone, but for next year consider dusting off your pack and hitting the road less traveled. But be warned: spring breakers need not apply.